Quality assurance tasks at companies have become more and more diverse as the range of products and geometric properties to be captured increases. With efficient, automated measurements, multisensor coordinate measuring machines provide the flexibility that this requires. One single machine can be used for many different measurement tasks and, with modular design, can always be updated to continue to be state of the art. the workpiece. 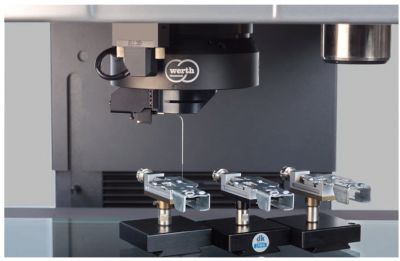 With the patented raster scanning HD method, large areas can be captured at a high resolution and then simply analyzed “in the image.” The Werth 3D-Patch is based on the same hardware as image processing and expands the area of application to include measuring surface topography with high point density.